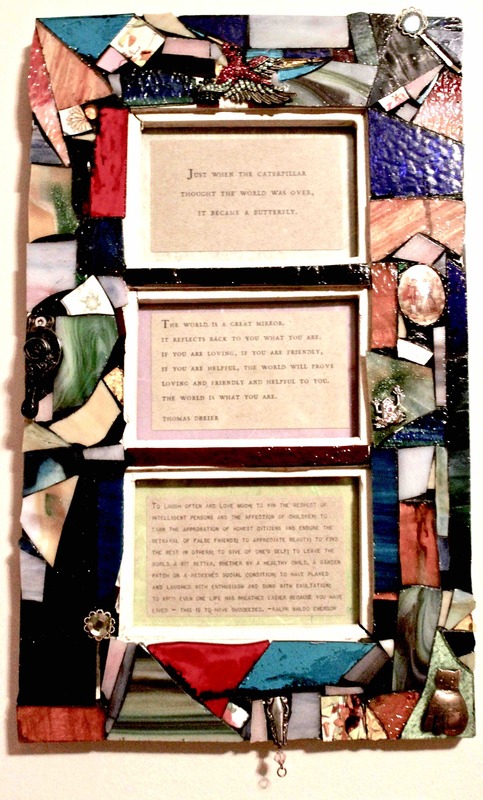 Make a piece of artwork comprised of little glass tiles, clay tiles, stones, or something you picked up on a walk in the woods. Think white birch bark, sea pottery, or metal objects. Learn the fine art of placing objects on a picture frame.